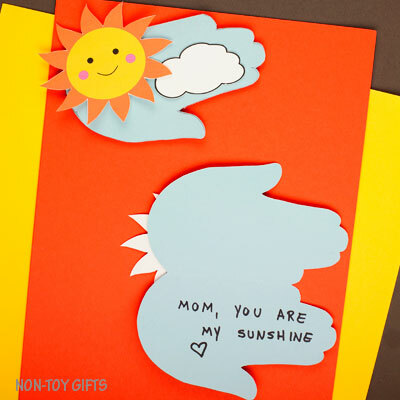 Mother’s Day is coming up fast and because we love simple crafts (check out our collection of 100+ easy crafts for kids), here we are sharing a simple Mom, You Are My Sunshine card. 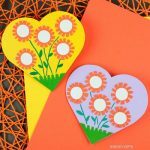 Our Mother’s Day handprint sunshine card comes with a free printable that you can find at the end of the article. 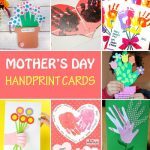 We love handprint crafts and we have already put together an awesome collection of Mother’s Day handprint cards as well as a collection of Mother’s Day handprint gifts. 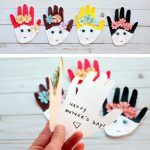 Because we know moms and grandmas love handprint crafts, we couldn’t resist to come up with a new idea. 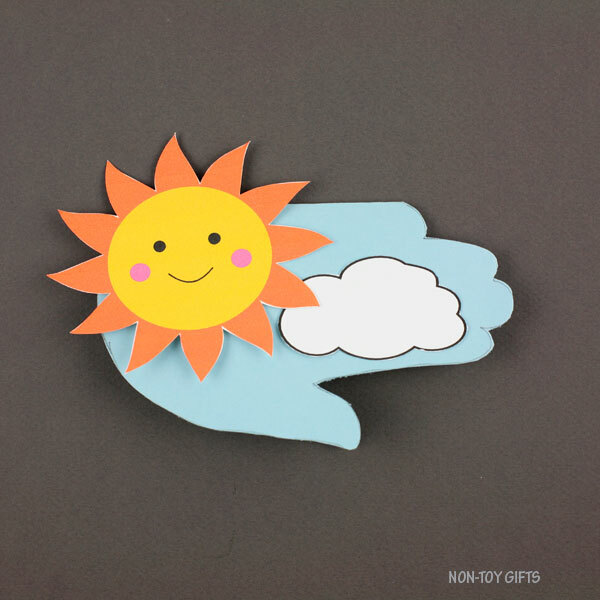 This card is a great classroom idea to make with preschoolers or kindergartners. 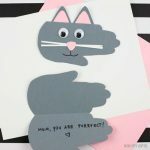 Because it’s all about cutting and gluing, kids can easily put it together and they will be so proud of being able to make a card for mom with no help. Start by folding a blue cardstock sheet in half. Place your kid’s left hand next to the folded line and trace it with a pencil. 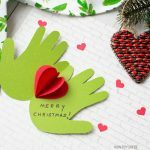 Cut out the handprint card. 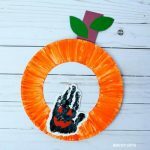 Download the handprint sunshine template (find it at the end of the post) and cut out the sun as well as the cloud. 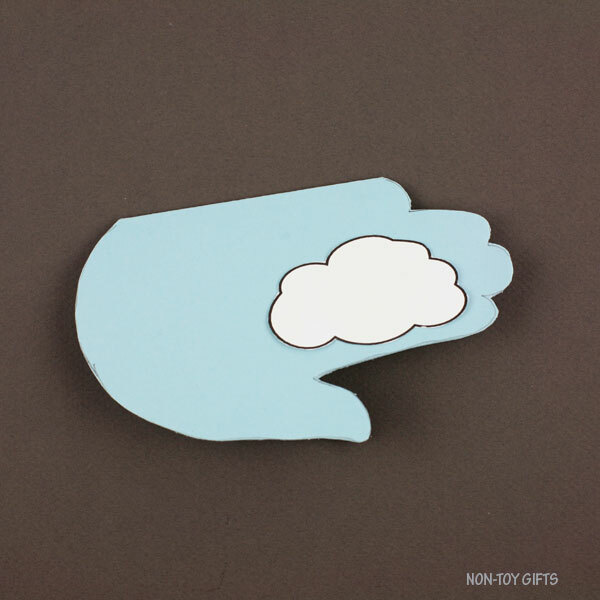 Glue the cloud to the bottom right side of the card. Glue the sun to the top left side. 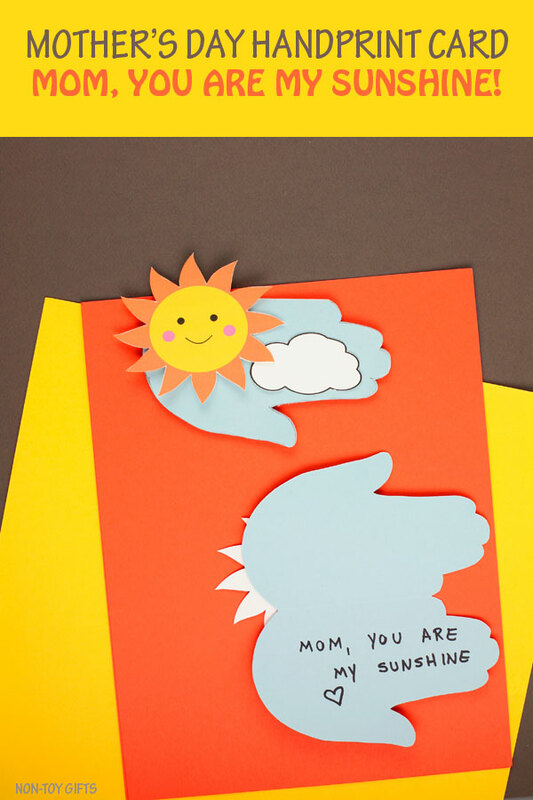 Write “Mom, You Are My Sunshine” inside the card. 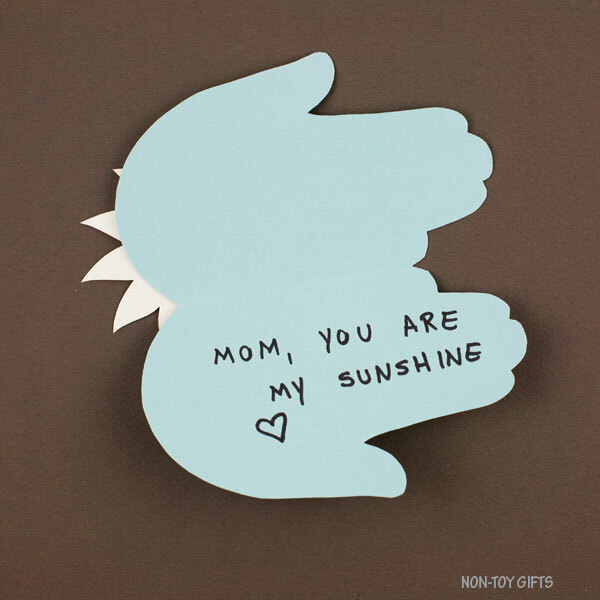 Mom, You Are My Sunshine - a nice handprint card to make for Mother' Day. 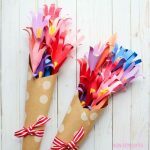 Start by folding a blue cardstock sheet in half. Place your kid's left hand next to the folded line and trace it with a pencil. Write "Mom, You Are My Sunshine" inside the card. 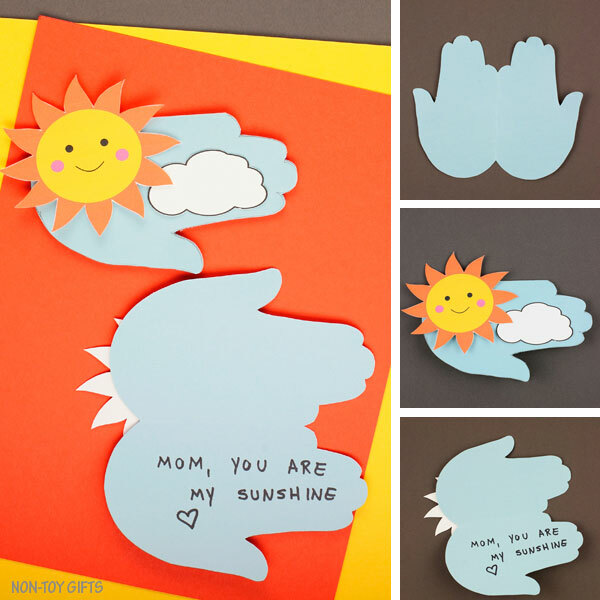 Sign up for our Newsletter and get this Mother’s Day Handprint Template as a thank you!